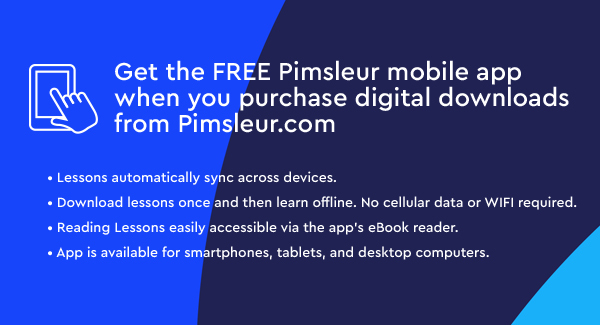 Discover how to learn Vietnamese with the Pimsleur Method. 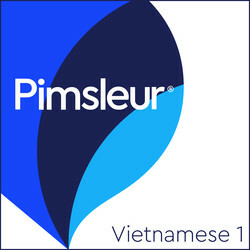 Start Speaking Vietnamese using the Pimsleur App! Vietnamese is spoken by some 80 million people in Vietnam and about 2 million people overseas. Vietnamese has 3 main dialects: northern, central, and southern. 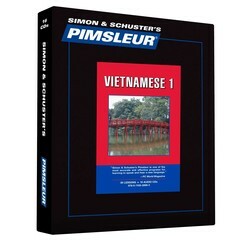 Pimsleur's Vietnamese teaches the contemporary Hanoi (northern and widely-spoken standard) dialect. 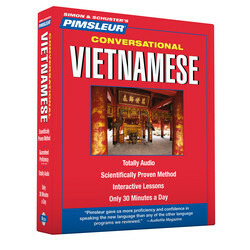 Learn Vietnamese today with Pimsleur. Lessons 1-16 from the Vietnamese Level 1 program on 8 CDs (8 hrs). Each lesson contains an intro conversation, and new vocabulary & structures. Learn essentials - greetings, meals, shopping, directions, and more.